well as bugs reported over the last three months. Alpine Linux is different in some important ways compared to most other distributions. It uses different libraries, it uses a different service manager (than most), it has different command line tools and a custom installer. All of this can, at first, make Alpine feel a bit unfamiliar, a bit alien. But what I found was that, after a little work had been done to get the system up and running (and after a few missteps on my part) I began to greatly appreciate the distribution. Alpine is unusually small and requires few resources. Even the larger Extended edition I was running required less than 100MB of RAM and less than a gigabyte of disk space after all my services were enabled. I also appreciated that Alpine ships with some security features, like PIE, and does not enable any services it does not need to run. I believe it is fair to say this distribution requires more work to set up. Installing Alpine is not a point-n-click experience, it's more manual and requires a bit of typing. Not as much as setting up Arch Linux, but still more work than average. Setting up services requires a little more work and, in some cases, reading too since Alpine works a little differently than mainstream Linux projects. I repeatedly found it was a good idea to refer to the project's wiki to learn which steps were different on Alpine. What I came away thinking at the end of my trial, and I probably sound old (or at least old fashioned), is Alpine Linux reminds me of what got me into running Linux in the first place, about 20 years ago. Alpine is fast, light, and transparent. It offered very few surprises and does almost nothing automatically. This results in a little more effort on our parts, but it means that Alpine does not do things unless we ask it to perform an action. It is lean, efficient and does not go around changing things or trying to guess what we want to do. These are characteristics I sometimes miss these days in the Linux ecosystem. Manjaro 18.0 Deepin Edition is official Manjaro Linux flavour with Deepin Desktop Environment 15.8 as default desktop environment includes several deepin applications a free open source software. Manjaro 18.0 Deepin Edition is powered by the latest Long-Term Support of Linux Kernel 4.19, include pamac version 7.3. in manjaro 18.0, The Manjaro Settings Manager (MSM) now provides an easy-to-use graphical interface for installing and removing the many series of kernels. At the time of this release, eight kernel-series are available directly from manjaro binary repositories, from 3.16 series to the latest 4.19 release. Open Source Security Podcast: Episode 142 - Hypothetical security: what if you find a USB flash drive? Josh and Kurt talk about what one could do if you find a USB drive. The context is based on the story where the Secret Service was rumored to have plugged a malicious USB drive into a computer. The purpose of discussion is to explore how to handle a situation like this in the real world. We end the episode with a fantastic comparison of swim safety and security. On this episode of This Week in Linux, we got a lot of releases week. Ubuntu and all of the Flavours have released 19.04 versions along with an interesting update from the Ubuntu derivative Pop!_OS. The KDE Community announced the availability of a bunch of new versions of various KDE Applications. Coming in hot (please save me from this heat) is the ninth episode of the Linux Gaming News Punch, your weekly round-up of some interesting bits of news. For regular readers, as always this might not be too helpful but for those who don't visit too often this should help keep you updated. Ubuntu 19.04 is released we share our take, OpenSSH has an important release, and Mozilla brings Python to the browser. Also WebThings is launched and we think it might have a shot. Are you going to PyCon (or a similar conference)? Join me and Kenneth Retiz as we discuss how to make the most of PyCon and what makes it special for each of us. Initial search seemed successful, but actually, none of the things I found worked correctly, or at least were not working for me. More precisely, I wanted something to generate a “book” with consistent internal links, so that I can jump from one page to another correctly. See the README for what I tried and gave up on. In Debian, there is of course the online manpages service, and there’s also The Linux man-pages project which do this very well. However, the UI and style for these seem to be designed for interactive browsing, whereas a simple output is better for offline browsing. So, after a bit of playing around with man -T html, mandoc and man2html, I settled on the later to write my tiny wrapper script. It’s a v0.0.1 release, but nevertheless works, so here it is: https://github.com/iustin/man2ebook. Red Hat is taking over maintenance responsibilities for OpenJDK 8 and OpenJDK 11 from Oracle. Red Hat will now oversee bug fixes and security patches for the two older releases, which serve as the basis for two long-term support releases of Java. Red Hat’s updates will feed into releases of Java from Oracle, Red Hat, and other providers. Oracle released JDK (Java Development Kit) 8, based on OpenJDK 8, in March 2014 while JDK 11, based on OpenJDK 11, arrived in September 2018. Previously, Red Hat led the OpenJDK 6 and OpenJDK 7 projects. Red Hat is not taking over OpenJDK 9 or OpenJDK 10, which were short-term releases with a six-month support window. GNU Parallel 20190422 ('Invitation') [stable] has been released. It is available for download at: http://ftpmirror.gnu.org/parallel/ No new functionality was introduced so this is a good candidate for a stable release. Almost 3 years ago, I wrote about how we at Centricular had been working on an experimental port of GStreamer from Autotools to the Meson build system for faster builds on all platforms, and to allow building with Visual Studio on Windows. At the time, the response was mixed, and for good reason—Meson was a very new build system, and it needed to work well on all the targets that GStreamer supports, which was all major operating systems. Meson did aim to support all of those, but a lot of work was required to bring platform support up to speed with the requirements of a non-trivial project like GStreamer. 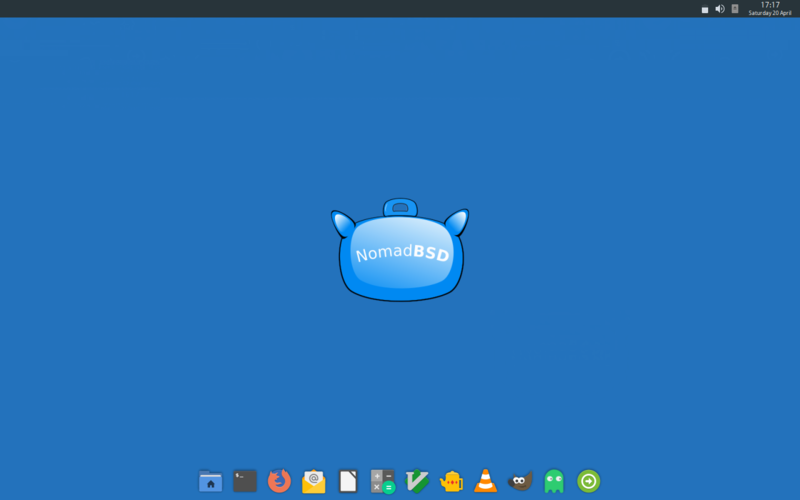 We are pleased to announce the release of NomadBSD 1.2! We would like to thank all the testers who sent us feedback and bug reports. LTS Releases of Ubuntu Still Necessary? There are currently 0 users and 58 guests online. Bits from Debian: DPL elections 2019, congratulations Sam Hartman!